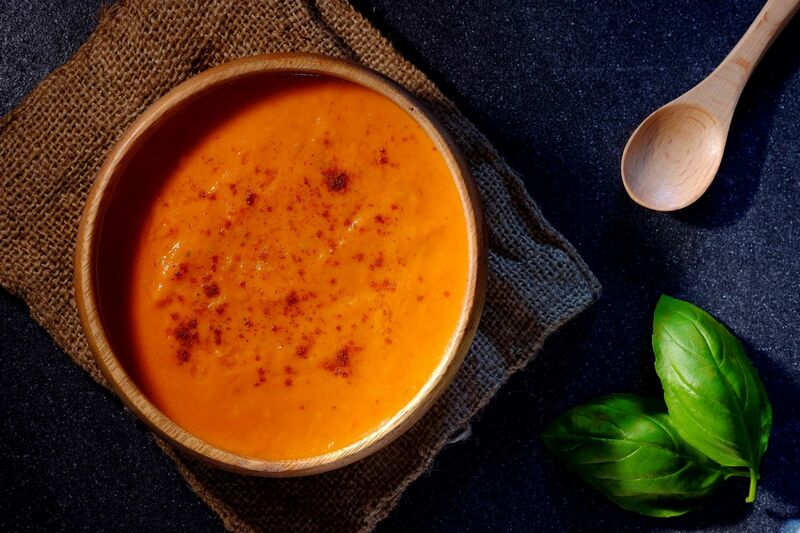 Wildly popular with the vegetarian community, a Gazpacho is a chilled dish that over the years has had so many versions and interpretations making its way into our kitchens. 1.Spread the tomatoes, bell pepper, white onion, garlic, and apple in a baking pan. Drizzle with olive oil and season with salt. 2.Put in a smoker for 45 minutes or roast for 25 minutes in an oven set to 180C/360F. 3.Press flesh of garlic out of its skin and put in a blender with the rest of the roasted ingredients. Process until smooth. 4.Serve hot or chilled with a topping of fresh chopped basil and a sprinkle of paprika.